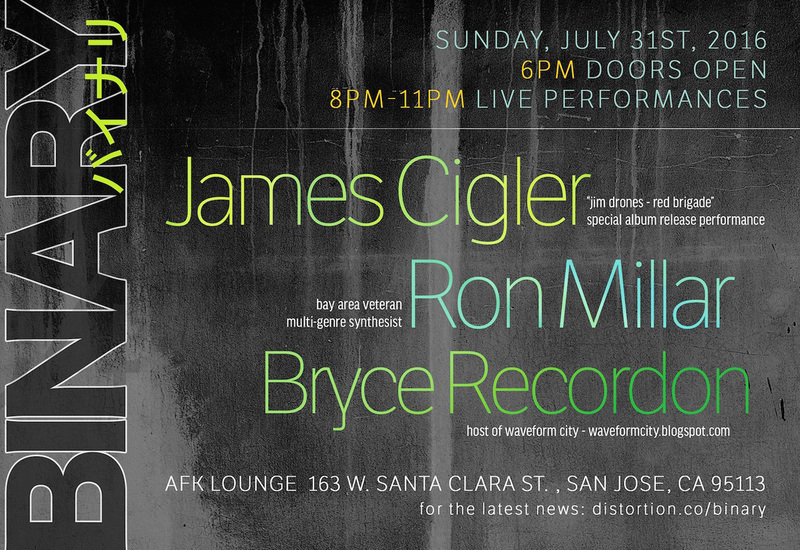 After the awesome madness of two days and 19 performers at the SubZERO Festival, Binary Society returns on Sunday, July 31st to the AFK Lounge in downtown San Jose. Also performing is Bay Area synth veteran and former lead game designer for Blizzard, Ron Millar (youtube.com/spindizzyman) and Bryce Recordon, host of the online synth show, Waveform City (waveformcity.blogspot.com). Visuals courtesy of Tim Thompson's "LoopyCam" and Maxwell-synthesized lasers from Danny Kim. The event is free. Doors open at 6pm. Performances will begin at 8pm with about 20-30 mins between sets.